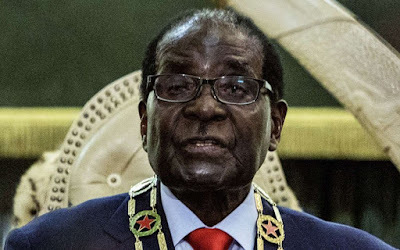 Zimbabwean President Robert Mugabe has been removed as a goodwill ambassador, the World Health Organization said on Sunday, following outrage among Western donors and rights groups at his appointment. WHO Director-General Tedros Adhanom Ghebreyesus named Mugabe to the largely ceremonial post at a meeting on Wednesday in Uruguay on chronic diseases attended by both men. At the time, Tedros praised Zimbabwe as “a country that places universal health coverage and health promotion at the center of its policies to provide healthcare to all”. But Tedros said in a statement that he had listened to those expressing concerns and heard the “different issues” raised. “Over the last few days, I have reflected on my appointment of H.E. President Robert Mugabe as WHO Goodwill Ambassador for NCDs (non-communicable diseases) in Africa. As a result I have decided to rescind the appointment,” Tedros said.